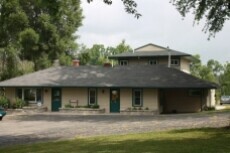 Manchester Veterinary Clinic is a full-service veterinary medical facility, located in Manchester, MI. The professional and courteous staff at Manchester Veterinary Clinic seeks to provide the best possible medical care, surgical care and dental care for their highly-valued patients. We are committed to promoting responsible pet ownership, preventative health care and health-related educational opportunities for our clients. Manchester Veterinary Clinic strives to offer excellence in veterinary care to Manchester and surrounding areas. Please take a moment to contact us today, to learn more about our veterinary practice and to find out more information about how Manchester Veterinary Clinic can serve the needs of you and your cherished pet. Is a member of : American Association of Feline Practitioners, American Veterinary Dental Society, American Veterinary Medical Association, Michigan Veterinary Medical Association. Outside interests: family, pets, hiking, swimming, and reading. Is a member of: American Veterinary Medical Association, Michigan Veterinary Medical Association, Manchester Chamber of Commerce, Manchester Community Garden and assists with Huron Valley Humane Society's Bountiful Bowl program. Interests: spending time with family, pets, hiking, gardening and reading. Favorite quote: If you love what you do you will never work a day in your life. Al has been a permanent resident of Manchester Veterinary Clinic since 1999. It was with sadness and many tears we said our final farewells to Al this April 2018. Al touched so many lives both 2 legged and 4 legged he will be missed by all. Carla joined our team in March of 2015. She relocated to Michigan in June of 2014 with her family from North Carolina. Carla has been working in the veterinary field for 20 years. Carla shares her home with husband Tim, son Austin and daughter Elizabeth. In her spare time she enjoys spending time with family and friends. Carla's interests are: traveling, shopping and fishing. Lisa has been a team member since August of 2000. She graduated from the Veterinary Technology program at Michigan State University. Lisa enjoys spending time with her (4) dogs, cat & rat, hiking, biking and enjoying all of nature around us. Katie joined our team in March of 2011. She is a graduate of Napoleon High School. We are proud to announce that Katie graduated Spring 2012 from Jackson Community College with a Medical Assisting degree. Katie enjoys spending time on the lake with her family and dogs Mack and Shadow. Katie's interests are: camping, boating, swimming and reading a good book. Nikki is a Manchester High School graduate who joined our team in the fall of 2018.